With the summer sun shining brightly, it’s time to make the most of the season by giving your wardrobe a makeover. And the summer is the right time to do that. And the men are not to be left behind so let’s see what is trending in men’s clothing this summer. Cotton and linen are a preferred fabric for summers by most of the designers, they are most functional fabrics keeping in mind the extreme temperatures and cotton is the most breathable fabric. There is a lot on blended fabric and sustainability is the focus. In blends there is an increased use cotton tencel, cotton nylon, cotton poly (poly which is recycled from pet bottles and ocean recovered plastics.) “The textures have mellowed, have become more classic, prints are still strong and we see two variants, the small ditsy floral and the big tropical leaves and flower, we also see a slow entry of Japanese bamboo and bamboo leaf prints,” avers Rahul Ranjan, Senior Manager Design, FLF brand Division. The most important thing in fashion is comfort style, you could put on anything stylish but if you are not comfortable, it will reflect sooner or later. Some classics are back such as grey suits, beige pants and white shirts. Wrinkle free and crease free fabrics will take preference over other finer materials. Manjula Gandhi – Chief Product Officer , Numero Uno Jeanswear explains, “we are using cotton rich solids knits in varying GSM’s from mid to heavy in our core basics. For casuals, we are using fabrics that give textured, marled or speckled look to the fabric along with a whole lot of prints with updated finishes on fabrics. Borro prints and handcrafted techniques inspire mechanically made fabrics that result in fashionable durable and comfortable products. In the active wear segment its futuristic fabrics with performance fabrics.” Linen is the classic summer material. It is highly absorbent and breathable nature makes it comfortable in our Indian summers. Men have accepted this fabric as a must have in their wardrobe. It has evolved into haute fashion ideal for all occasions. Looking beyond the classic white denim which is a summer staple, coloured jeans are a great way to add a nice summer look. Spending to dress up for recreational activity is also on the rise. Akash Verma, Founder, Chokore.com says, “the vertical stripe is officially menswear new go-to pattern. 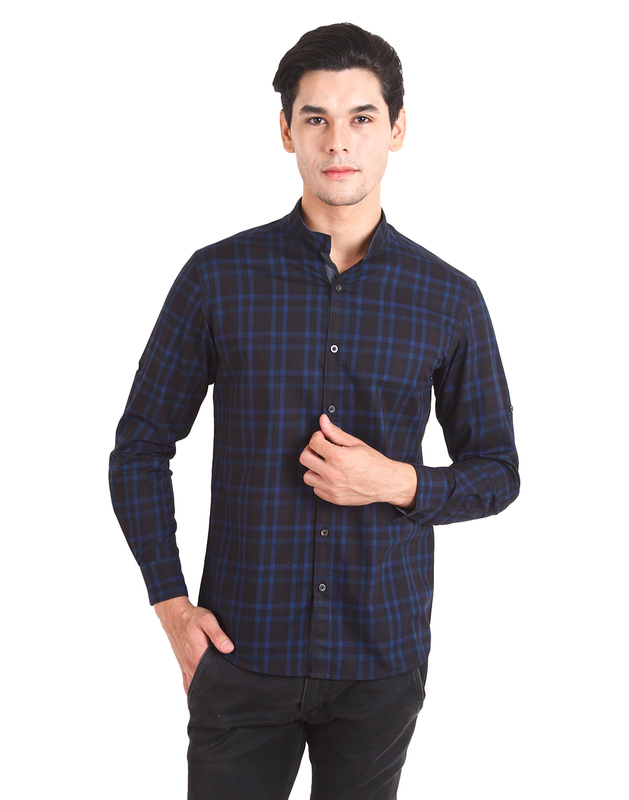 Broad checks for casuals and small for semi-casual/formal will be in this summer. Athletic shorts/ polos/ horizontal striped T-Shirts and Mandarin/Chinese collar shirts are in.” Colours to look out for this summer include various khakis, jade green, plum, soft pink, whites and washed lilacs. According to a spokesperson from Dapper Homme, “loose fitted outfits are in again with the 80’s style, boxy outfits and pastel colours. Millennial pink is a colour that is going nowhere. We will see a lot of bright colour palettes along with floral, abstract and quirky objects prints.” Garments like waist coats, linen blazers and breezy cotton kurta work best in summers. “The bandhgala is a very versatile garment and can instantaneously dress up your look. It has suddenly taken the style quotient, a notch higher and the Jowahar jacket seems to be the latest pick for men. Today the urban men are well travelled; aware of global standards and fashions trends. Gone are the days when the colour board for menswear comprised only of the staple black or blue. Nowadays the colour spectrum for men’s attire ranges across every possible hue,” says Surbhi Pansari, Founder & Owner, Surbhi Pansari. Long length t-shirts are making waves with young customer, so are the long body shirts. Trousers are gaining volumes and slowly moving out of the skinny and tight fit. There is a return of some old school looks this season. While does not go out of style, this summer will see a variety of blues ranging from electric to navy catching speed. Ranu Bathwal- Founder and CEO, Popup Galleria adds, “light washed and loose fit basic denims, side tripe’s trousers, cuffed joggers, tone on tone colors like how one would coordinate black with black are trending.” Characterized by individual style, classic craftsmanship and fit, the current trend in menswear is asymmetrical cuts and off centered garments. Low High kurtas with different lengths also rule the trend. “It points towards keeping the style quotient just right and not going overboard with cuts, yet adding personal touch to the silhouettes. Jowahar jackets, kurtas and bandhgalas with hand embroidery and intricate thread work are very popular for occasional wear. It is all about exclusivity when it comes to choosing a garment and men are leaving no stone unturned to look uber chic and cool. For men, the outfits that they choose for various occasions mostly help in expressing their spirit. Whether it’s a formal business party, a casual get together with friends or a wedding, these globetrotter men go for exclusivity when they have to choose a particular look. They leave no chance to look their dapper best for any occasion,” says Pansari. Men’s fashion in India has been in a state of constant evolution. Today’s urban man has become innovative with the clothes he wears. So what worked 10 years before, may or may not work now. Clothes which are uncomfortable or ill-fitted should not be in your wardrobe. The focus should be not to forcefully follow trends especially at the cost of your comfort. The best thing one can do is to keep in mind the aesthetic appeal of one’s individuality. “Always check trends before picking on a wardrobe look, your closet should include trendy yet comfy clothing. Even though trends are important but everyone adds a unique flavor by their own touch and sense of style, so always stay true to your style. Play with combinations and colors depending on your skin tone and complexion,” advices Aanchal Saini, CEO & Founder, Rent it Bae. Vishal Mawandia, Founder/ Designer/ Tailor of Zegdo explains, “softness is the key. Chinos in cotton and linen, two inches higher than anklebone, pencil cuts, single and double pleats will be the trend. Keep the jackets light, preferably half lined so it helps with the summer’s new and hotter strike. Double breasts have made a huge come back.” Summer always brings back the classics into the season for they are a perfect way to embrace soaring temperature with much ease. “Smooth texture, muted metallics, powerful contrasts will ensure you put your best foot forward every time you step out in the sun; the lighter colors, especially pastel shades and beige or light wine tints are the ones that are pleasing to the eyes and yields maximum comfort to the body in summers. Not to forget the ‘Business or Smart Casuals’ that stands to benefit the most and never goes out of demand by the working professional class for its wide range of variety with maximum comfort in its built up to cut the heat wave and add variance to the office wardrobe,” opines Ketan Pishe, Partner, P N RAO. 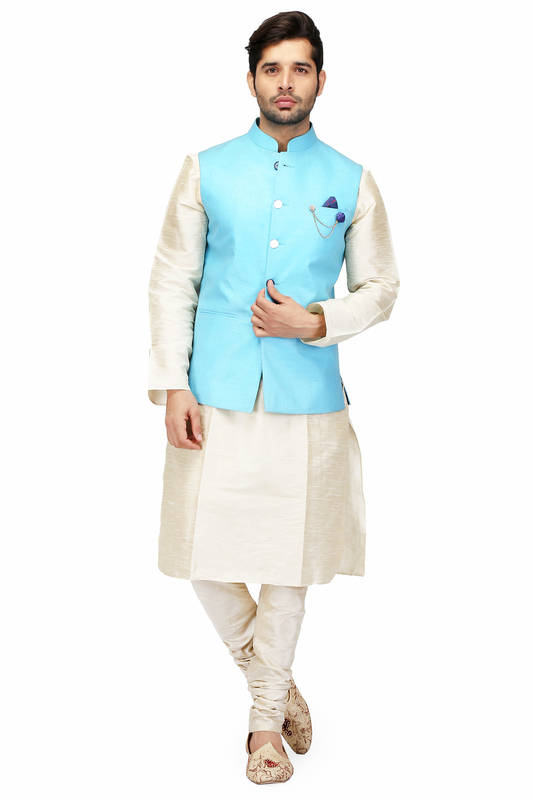 The summer season is also a popular time for marriages and hence men must be prepared to look haute to beat the heat. Here are some ways in which you can have fun in the sun. “If you are planning for a beach party, opt for vibrant coloured shirts and top it up with a semi-formal white or neutral shade blazer to raise the temperature by the beach side. Opt for multi-coloured pocket square to compliment your look. For the sundowner party, dress up in a proper formal linen shirt and add a tailored blazer to add that crispness to your look. However replace your regular trouser with shorts for that perfect poolside look. 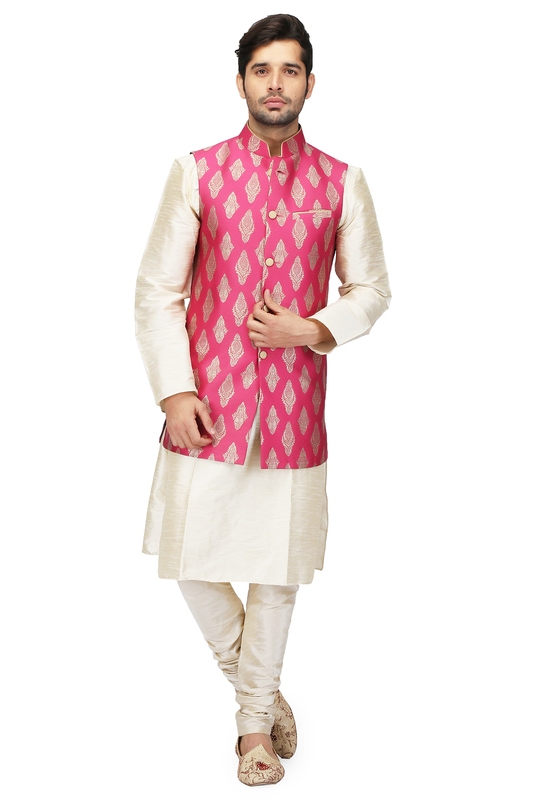 For morning functions like Haldi or Mehendi, opt for ethnic kurta in soft shades like coral or mint green. Team it up with a slim fit trouser and oxford shoes to complete your look. If the sangeet is at a royal palace, opt for a jowahar jacket with hand embroidered kurta to add style quotient as well as your flamboyance. 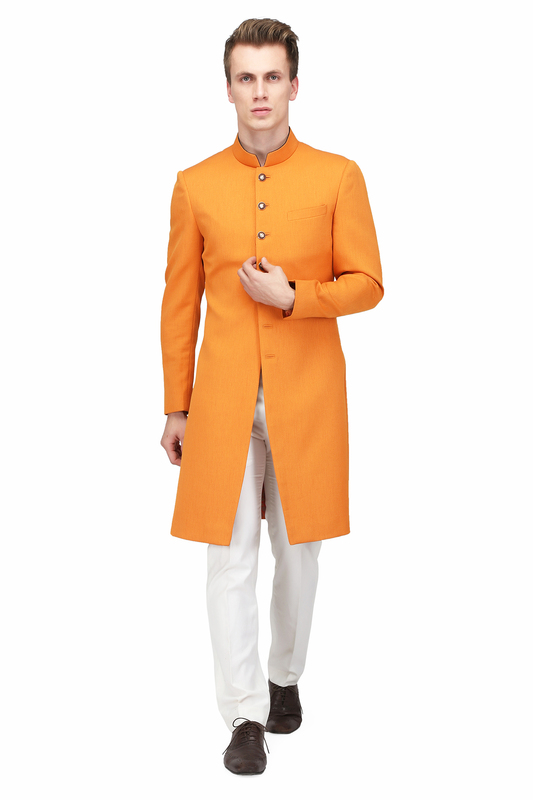 For the wedding, a sherwani with full hand embroidery to accentuate the whole ensemble is recommended. Accessories such as ornate turbans, mojris, broaches and pearls give a very regal feel,” says Pansari. So this summer it’s all about what men want and how to get it. So go ahead and give your wardrobe that spanking new makeover and you will be summer ready – no matter what the occasion is.